Three mysteries set in nineteenth-century Philadelphia: From elegant drawing rooms to tragic slums, an heiress investigates a string of shocking crimes. 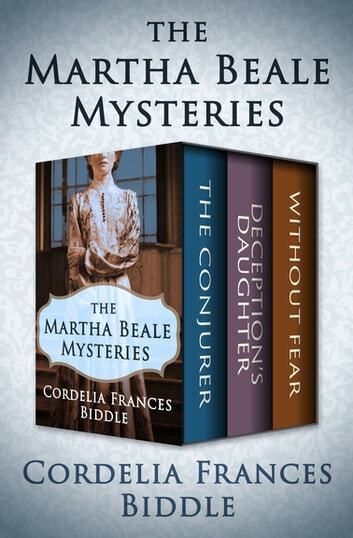 The first three instalments in the acclaimed Martha Beale Mystery series are “a feast for those fans who enjoy engaging characters and . . . readers who loved Caleb Carr’s attention to detail in The Alienist and Jacqueline Winspear’s appealing sleuth, Maisie Dobbs” (The Philadelphia Inquirer). The Conjurer: When Martha’s father disappears from the family’s country estate, she begins an investigation that takes her from the pinnacle of society—abuzz with the arrival of a European conjurer who communicates with the dead—to the city’s poorest neighborhoods where a killer is targeting prostitutes. Deception’s Daughter: Now the guardian of two young children, Martha returns to Philadelphia to find it torn apart by the disappearance of a young heiress and a succession of unsolved robberies. Martha acts as liaison between the mayor’s aide and the missing girl’s parents, but the investigation takes a darker turn as rich and poor alike face a deadly threat. 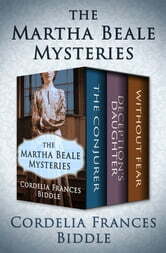 Without Fear: When a mill worker’s corpse is found on an estate outside Philadelphia, Martha joins the investigation. But a friend also needs help escaping her abusive socialite husband. As Martha navigates the growing divide between classes, she comes face-to-face with an evil that touches everyone, including her own adopted daughter.